Inspiring Felicity: "A Collection of Nuts"
A poem written by me! Bounding from tree to tree. We're on a gath'ring spree! Using our sense of smell. We buried them so well! We have no time to stay! Working all day, 'til night. Packing them all in tight! Thieves are quick as a flash! 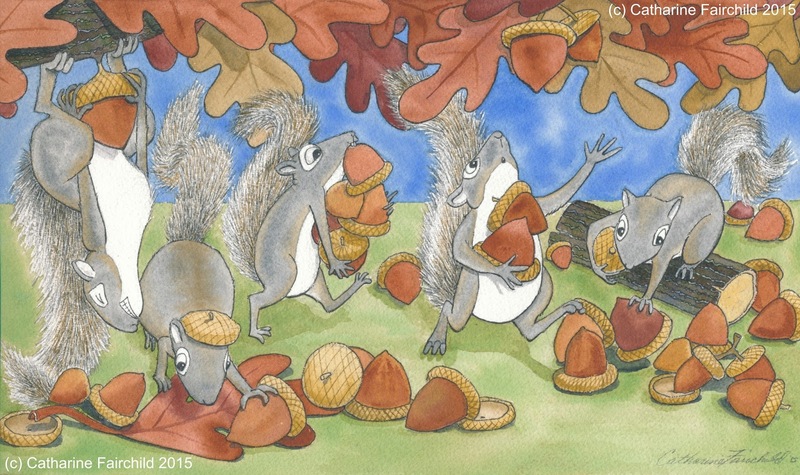 The poem was written to go along with my newest illustration celebrating Autumn! while everything out of doors prepares itself for Winter!